Billy Joe Boegen, born in Hamilton TX Apr. 23, 1924. Enlisted into the Navy Oct. 27, 1941 in Dallas TX. 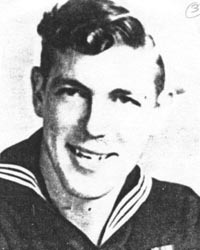 See some information about Billy Joe Boegen at the USS Salt Lake City web site.